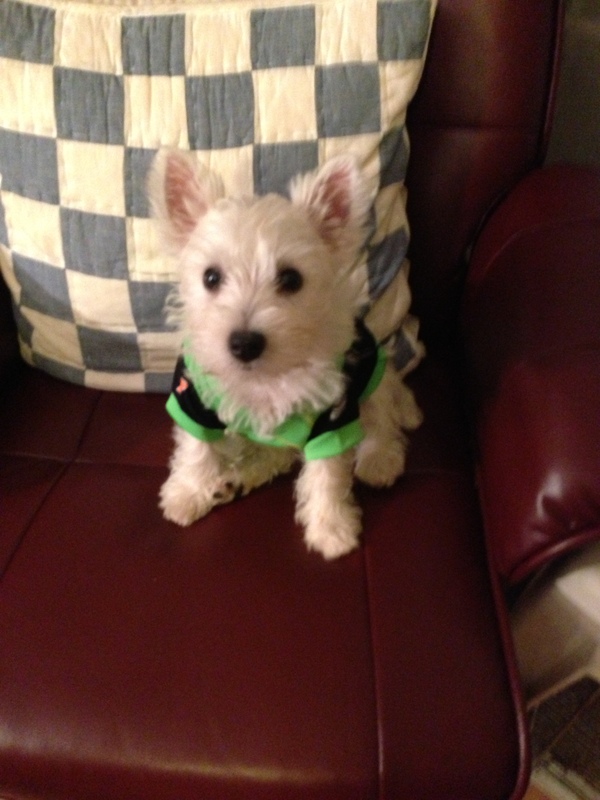 Meet Mackenzie, my new baby sister and definitely a Pesty Westie! Trouble with a Capital T! 3 Responses to Wordless Wednesday… Guess She’s Staying. She is soooooooo precious. Westies are the dog of my dreams; though, we have a cat house. We even had a kitty named MacKenzie! We Westies DO have westitude… I love to chase our two cats, too! Mackenzie is a great cat name… Maybe my sister is REALLY part kitty!!! WestieWaves!